We are manufacturing wide range of the Bellows. Expansion Bellows are available in various lengths. 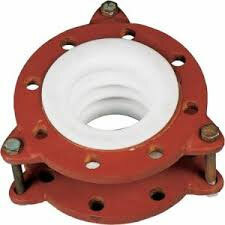 Made of virgin PTFE this expansion joint are mainly use to vibration, absorbed shock& continuous expansion prevails. STANDARD/PN 10/PN 16/ PN 40 /table D/Table E/Table F etc.